Plus the end of Archie! It seems fitting that both Marvel and DC are launching brand new #1 issues for their most recognizable heroes in the same week. 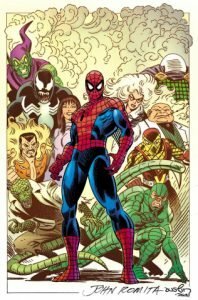 From Marvel, it’s Amazing Spiderman #1 from the team of Nick Spencer and Ryan Ottley. Over at DC, it’s all about Superman, as Brian Michael Bendis launches his first ongoing series at DC Comics with artists Ivan Reis and Joe Prado. All that plus two new debut issues from Image and Dark Horse, and the final issue of Archie. These are the Best Comics to Buy this Week! 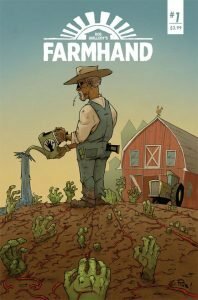 Farmhand is written and drawn by Rob Guillory, who’s most well known for his Eisner award-winning dark comedy series Chew. As a result, it promises to be a weird and wonderful tale, full of gross and captivating moments. If you’re looking for a strange book to add to your pull list, then look no further than Farmhand #1. Being able to fly is one of the most common wishes that people have throughout their lives. After all, being able to soar free and travel anywhere in the world would be extremely liberating and it would save a ton of gas money. 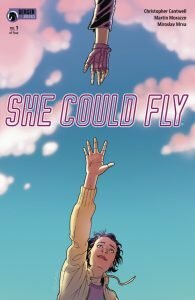 The idea of flying is taken into a more serious note in this week’s She Could Fly #1. The series stars 15-year-old Lena Brewster, a disturbed girl with the ability to fly who is trying to learn about herself while rumours and conspiracies swirl around her. She Could Fly is very much a coming of age tale that looks to soar above the others. This series is also exciting because it is launching as part of former Vertigo Editor Karen Burger’s line of Dark Horse comics. Berger has a laundry list of critically acclaimed series that she helped guide during her time at Vertigo, including Sandman, Swamp Thing, Y The Last Man, X Machina and more. This is a book with a lot of pedigree. Fresh off the heels of his six-issue miniseries, Brian Michael Bendis is finally starting his official Superman run. The six-issue Man of Steel miniseries very much felt like a means to set up a number of plot points, such as Lois and Jon’s absence and Kel-Mar Zod as a main villain. As a result, it’s not quite fair to judge Bendis’ ability to tell an engaging story based on what we have so far. 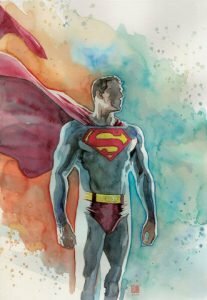 This week’s Superman #1 is the first issue where readers will really get a good sense of what Bendis’ Superman will look like, and it will go a long way in determining the series’ staying power. The issue has Superman looking at the world with new eyes, and his first job involves getting earth out of the Phantom Zone. With art by the illustrious team of Ivan Reis and Joe Prado, one thing that’s certain is that this is going to be a good looking debut issue. The amount of status-quo changes that Spider-Man has gone through in the last few years is pretty amazing. From being dead to being a ghost to being a globetrotting billionaire, it’s been a while since Spider-Man has just been… well Spider-Man. This issue seems to be a return to simpler and more grounded Spider-Man storytelling as he has to fight off an alien invasion of New York while also juggling his relationship, job peril, and new roommate. The new series is written by Nick Spencer who is perhaps infamously known for 2017’s Secret Empire event that turned Captain America into a member of Hydra. That being said, Spencer is a talented writer who has written his fair share of stellar series including the comical masterpiece known as Superior Foes of Spider-Man. If he can bring that same style to this series this may be the start of something special. The last issue of Archie was perhaps the most insane of Mark Waid and Ian Flynn’s entire run so far. It not only featured a tense hostage situation involving Cheryl and Jason Blossom’s real parents, but it also gave readers a possible look at what a Betty and Veronica relationship would be like. 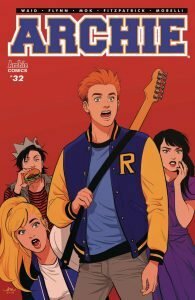 As for the actual issue, Archie #32 is actually the last entry in the current Archie run that began back in 2013. It’s been a great journey so far, and Mark Waid, Ian Flynn, and all the artists have done a stellar job of modernizing the world of Archie while keeping the characters true to their cores. This issue promises to be an unpredictable one, and the solicit teases that Reggie is finally going to pay for his crimes. Could Reggie step up and end up dying as a result? Will Archie pay the price instead? And most importantly, will the dance be over before Dilton’s curfew? All will be revealed in this week’s monumental final issue. Liked this article and want to read more like it? 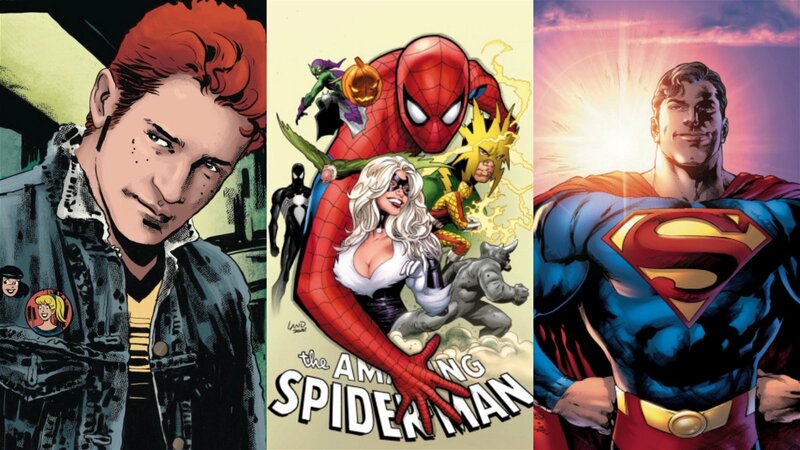 Check out A List of Great Graphic Novels and our Interview with Archie Writer Ian Flynn.